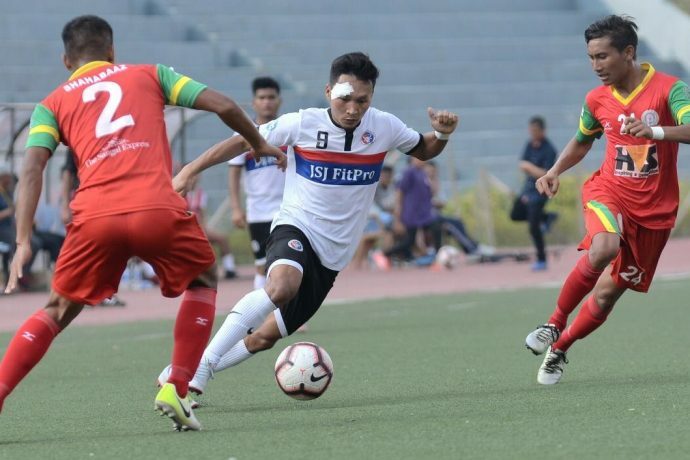 After a frantic sequence of events in the last matchday of Group C, TRAU FC secured their spot in the Final Round of the Hero 2nd Division League on the back of a thrilling 3-2 victory away at Chhinga Veng, in Aizawl on Friday, March 22. Out of the six sides in the group, the top two non-reserve teams will be eligible to progress to the Final Round of the Hero Second Division, which will be held on a round-robin format on the round robin basis. Chhinga Veng, who started off with 20 points, had already secured their top spot in the group, and by extension, a spot in the Finals. By dint of their win against the group toppers, TRAU FC booked their spot in the Finals with 17 points on the board. On the final day, as many as three teams were in the running for the second spot in the group, with TRAU on 14 points, followed by New Barrackpore Rainbow AC and Mohammedan Sporting on 13 points apiece. Mohammedan leapfrogged Rainbow AC to the third spot with 16 points, while the latter, by dint of their loss, moved below ATK Reserves. It was arguably the biggest North-east Derby of the Hero 2nd Division as the top two sides of Group C faced off against each other in Aizawl. TRAU, who merely needed to ensure three points for qualification, struck early on the eighth minute, when Netrajit Singh put them ahead. Deepak Singh doubled the lead for Trau after the changeover, before V Chhangte pulled one back. With a little over 10 minutes to go, Chhinga Veng equalised through Lalliansanga, but Emeka ensured the three points for Trau. It was yet another lively start as both the sides scored in the first quarter of an hour, with Arthur Kouassi putting Mohammedan in the front first, before Sohrab Akhtar levelled the proceedings for Jamshedpur. However, Tetteh Philip seized his opportunity just a couple of minutes later, to put the Kolkata side back in the lead. Around 10 minutes later, the Ghanaian levelled converted a penalty to double Mohammedan’s lead. Tetteh scored another right after the changeover, to put matters beyond Jamshedpur. The Jharkhand side did pull one back for Subhankar Sana, but it was too little, too late. Rainbow AC had an evening to forget, despite the fact that they had a better head-to-head record against both TRAU and Mohammedan, going into the final day fixture. They fell fell behind to ATK near the half-hour mark to a goal by Gopi, before Joel Sunday equalised after the half-time whistle. However, Thomyo L struck with just two minutes of regulation time to end all hopes for Rainbow AC.